Search the RetroWaste database for all things vintage!! 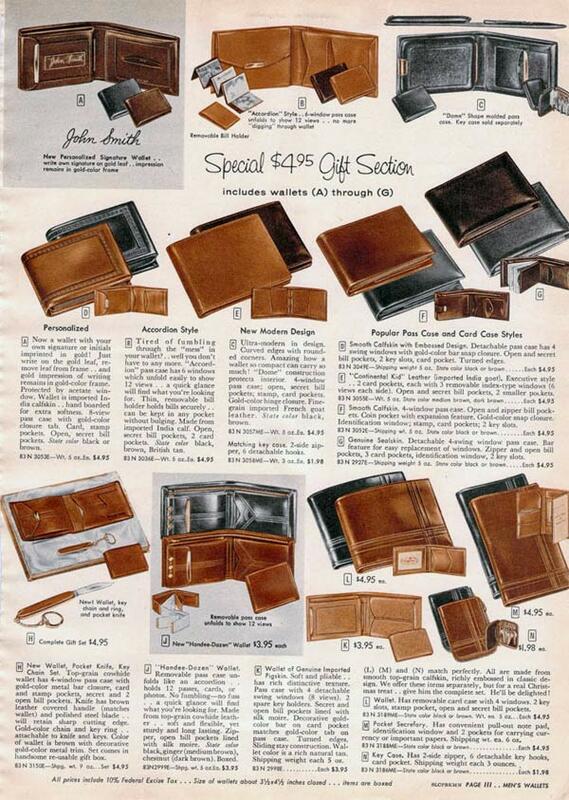 In the 1950s, people carried cash around. 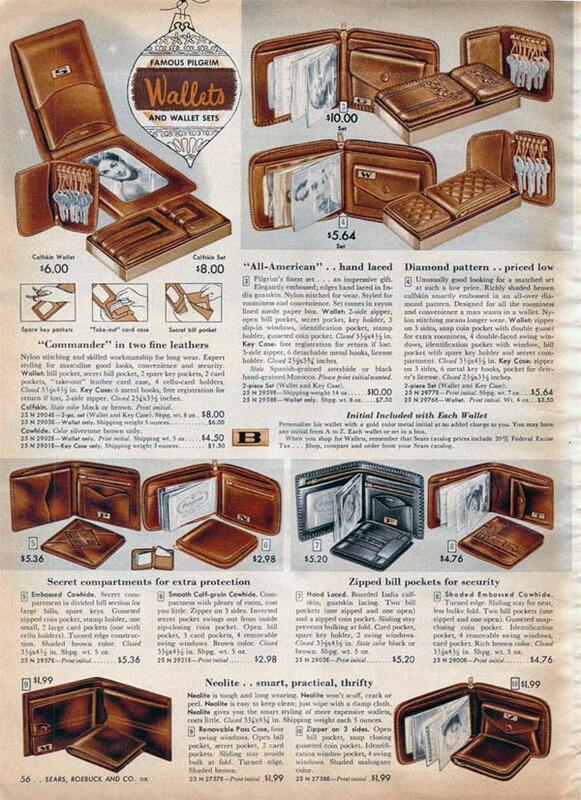 And they needed some place to put all that money, so naturally everyone had a wallet on them. 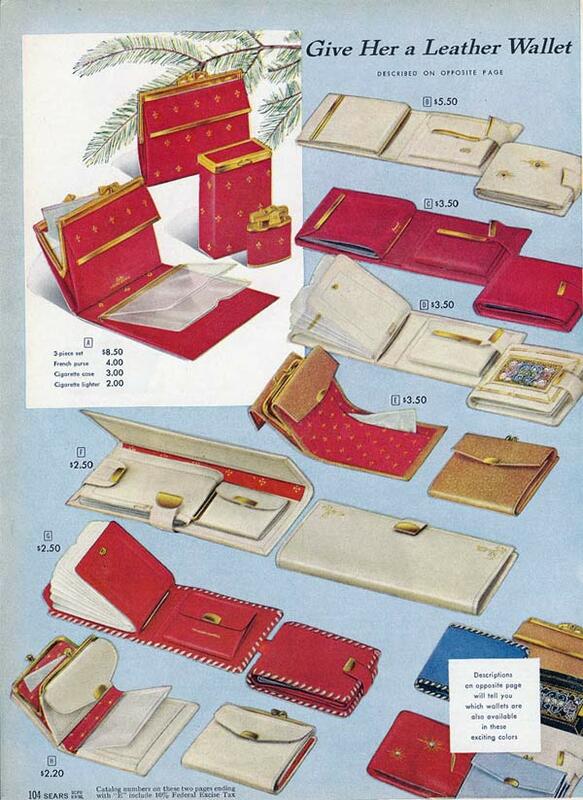 Even the women who didn’t carry a purse around still had their billfold on them. 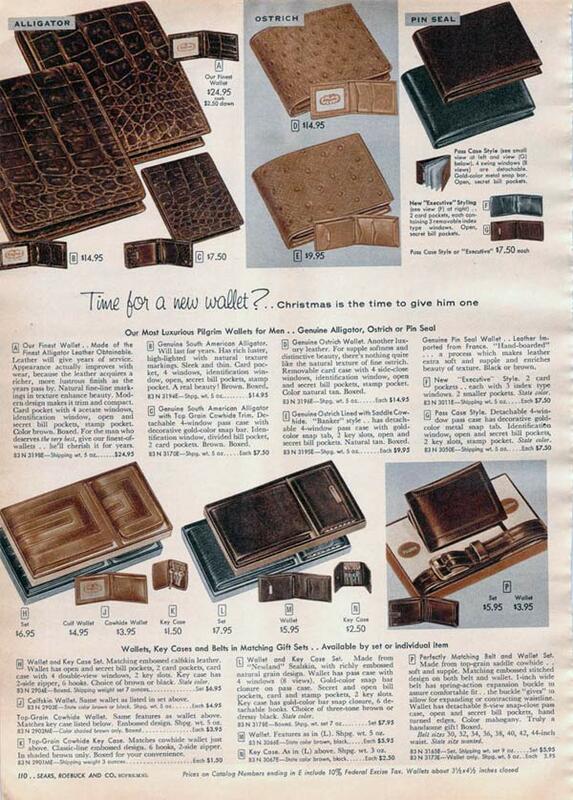 It was an absolute necessity that everyone have a wallet. 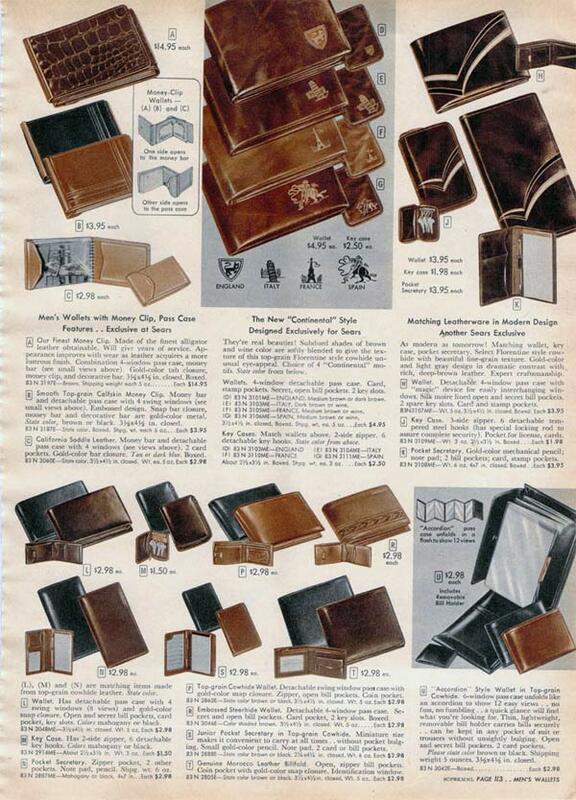 So what kinds of wallets did men and women carry in the 1950s? Men and women had pretty differing styles, so let’s break it down. 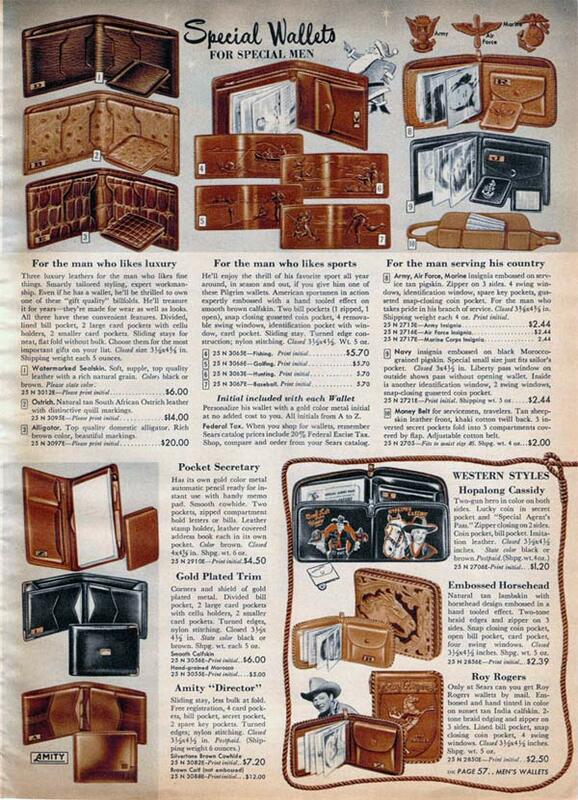 Men’s wallets weren’t too much different than they are now. Brown or black cowhide leather was the smart choice. 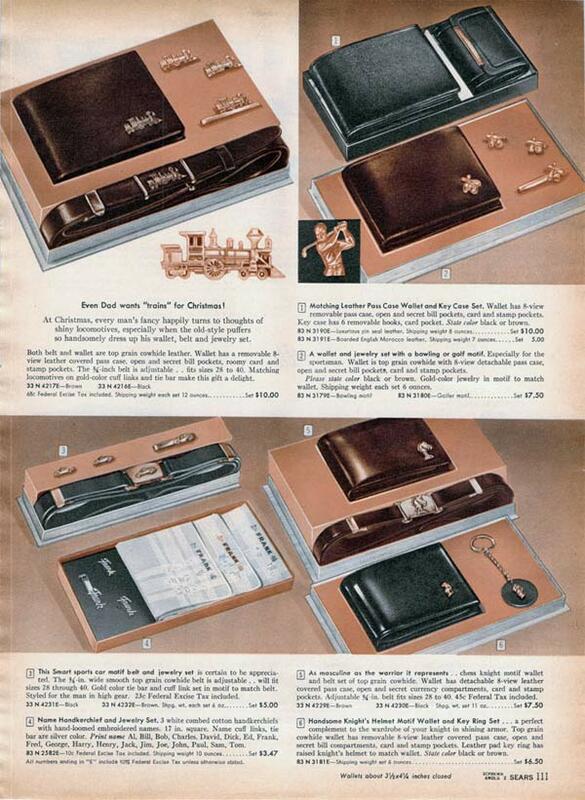 These wallets had several compartments for holding keys, ID cards, pictures, cash and coins. 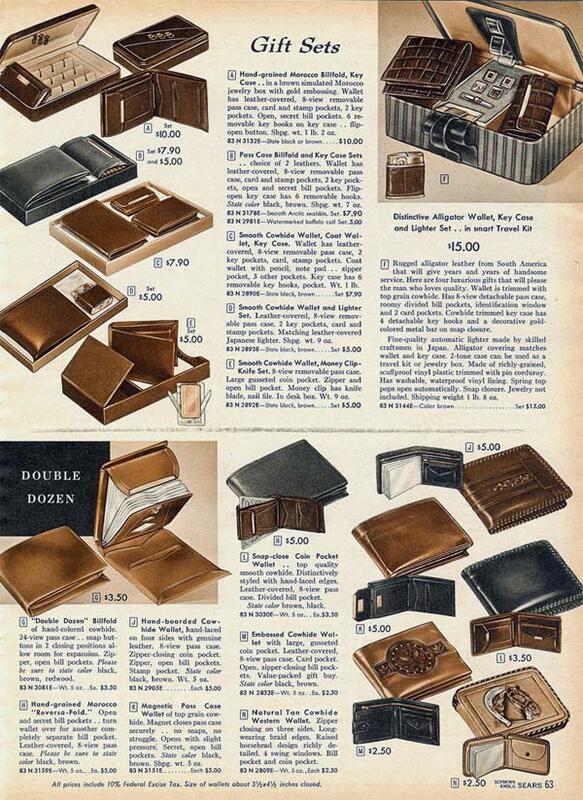 Some wallets zipped around the edges to keep it closed and other had secret compartments. 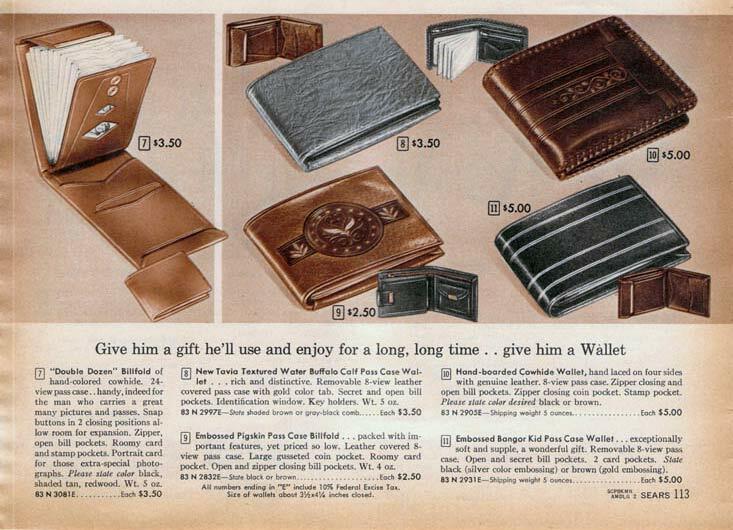 For that extra personal touch, men could get a wallet with his initials, his name or his favorite activity (like fishing) embossed on the front. Plastic inserts held pictures and other card-sized items. 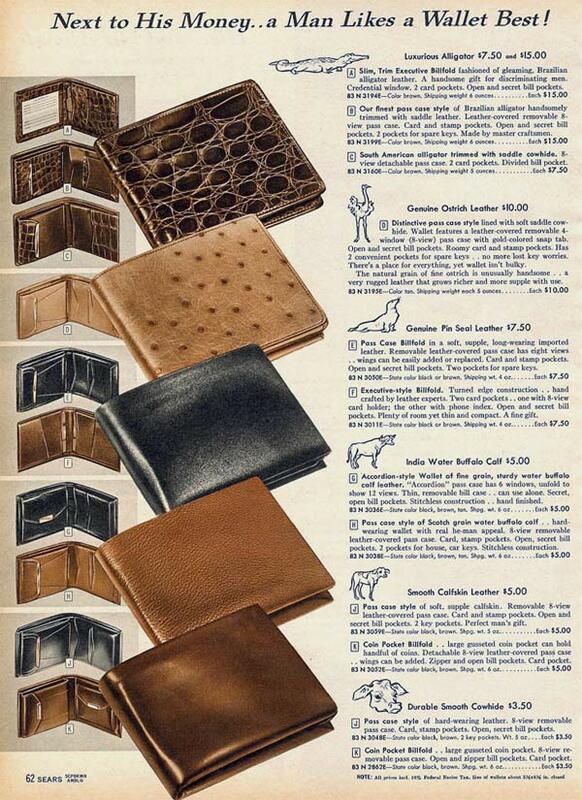 Some wallets even came in exotic leathers like sealskin, South African ostrich, alligator, water buffalo and almost any other kind of animal you can imagine. 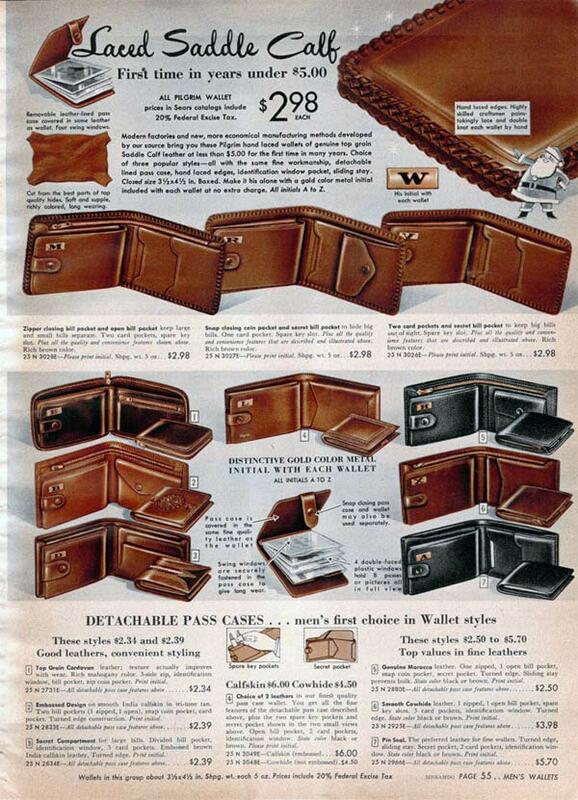 A fashionable man in the 1950s had a belt that matched his wallet. 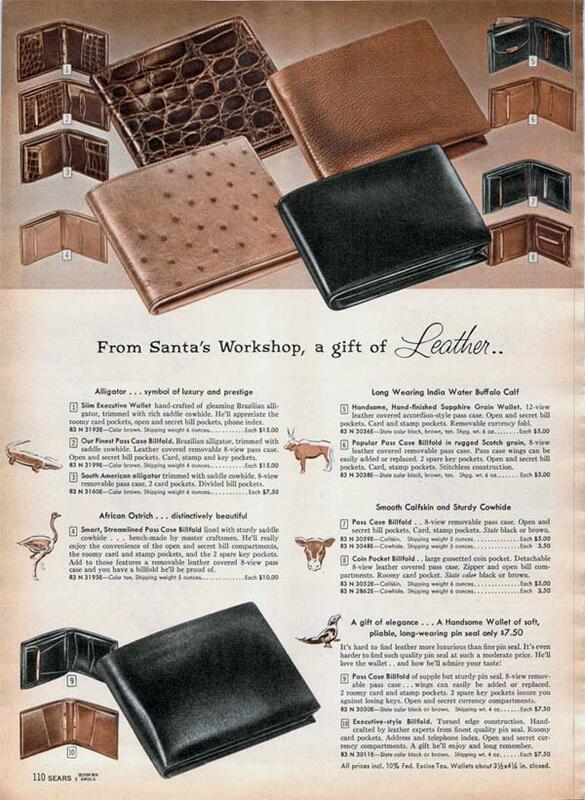 Women’s wallets were much more interesting in design than men’s wallets. 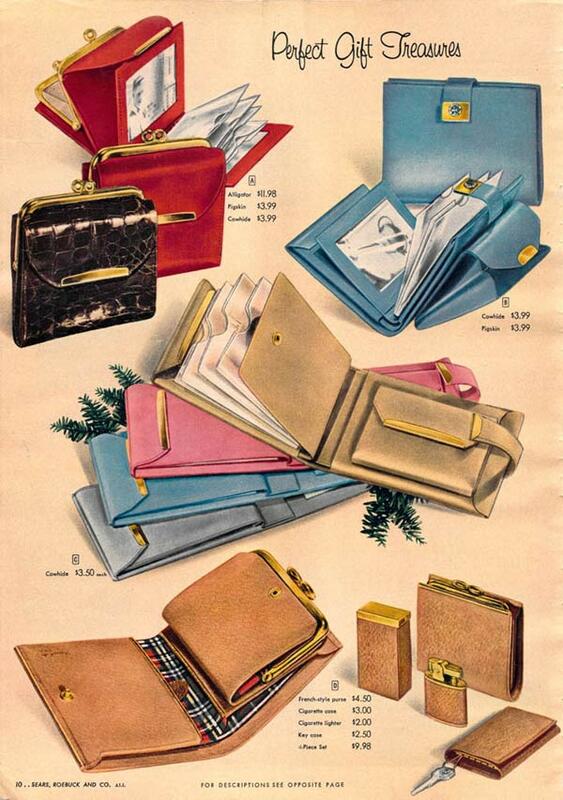 A woman could get a wallet in any color to match her outfit or handbag. 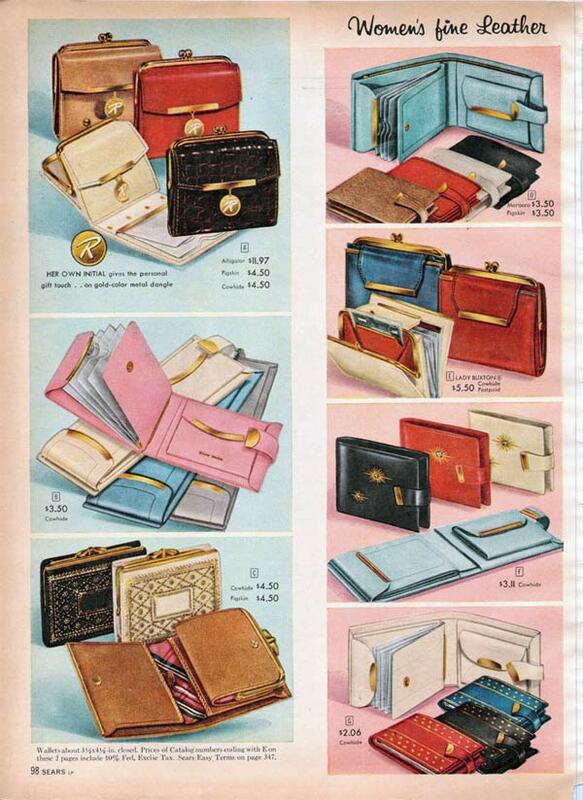 Wallets came in pink, light blue, red, white, black and every other color in the rainbow. Some wallets came with matching cigarette lighters. 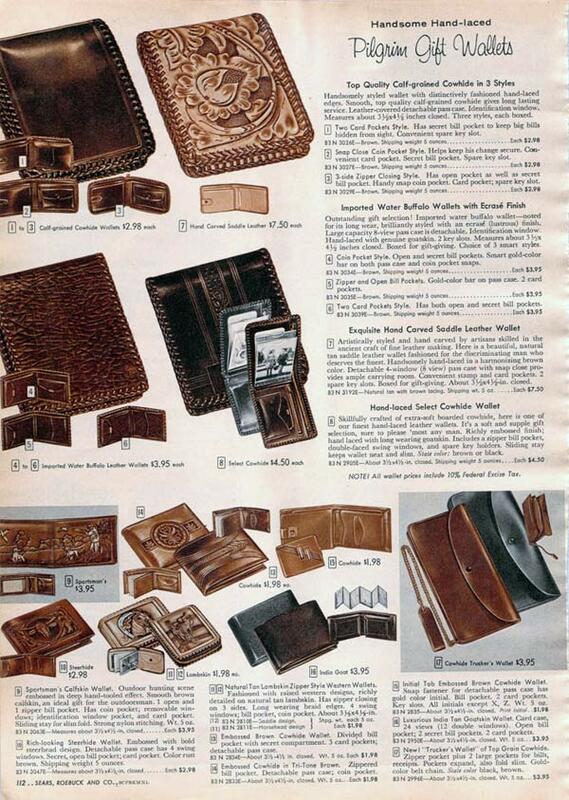 A woman’s wallet definitely had a coin pocket. They usually had a snap-tight latch or zipper. 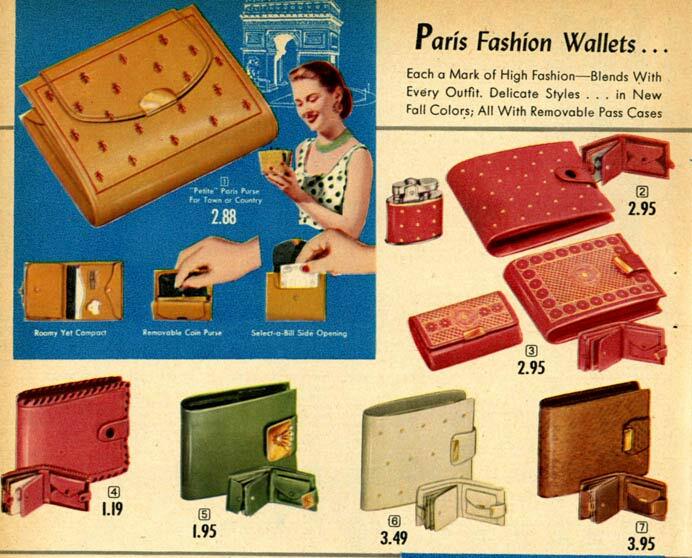 Wallets also came in matching sets, in case she needed a separate coin purse. 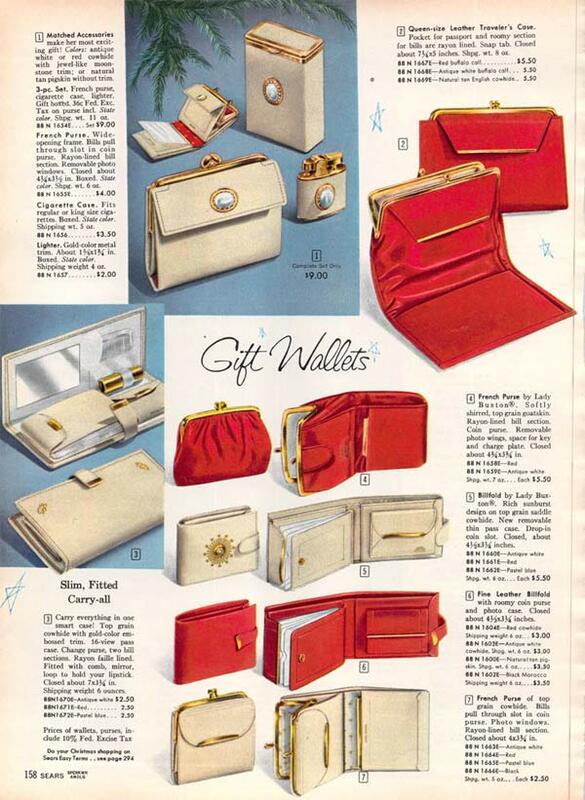 A common trend seen in 1950s women’s wallets is gold trim or thick white striped trim. Hi Retrowaste. 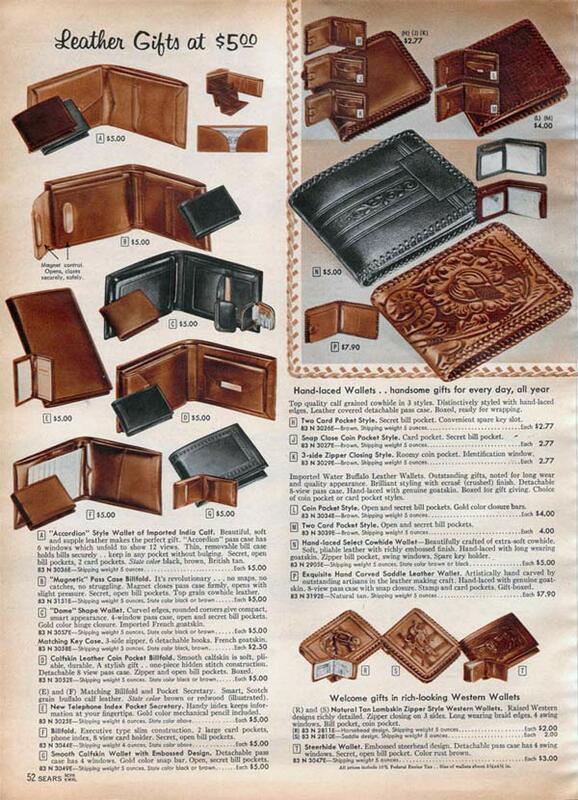 I see in some of your vintage ads a vintage item I would like to actually like to find. I have so far not been successful. Is this something you can help me with? Thanks for any help you can give me. All images, videos and any other multimedia shown on RetroWaste is in fair use context. The original company or artist retains all copyrights. This site does not claim ownership in any way. RetroWaste makes every effort to provide quality learning materials and access to legal purchase methods within the confines of U.S. law. Now let's have some fun!